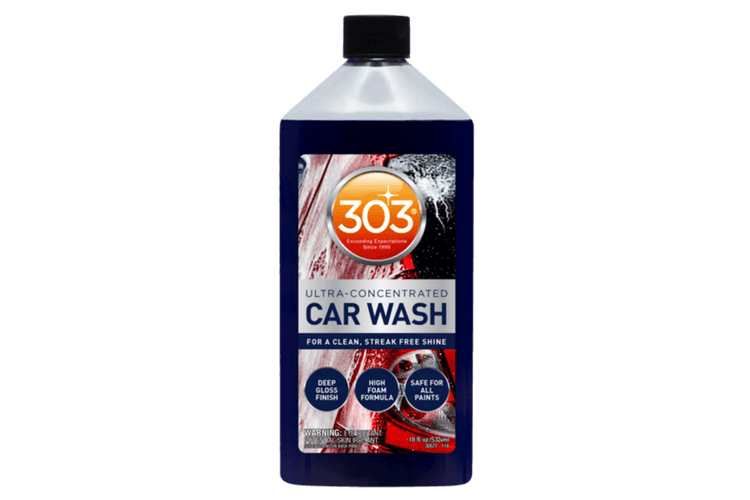 303 Car Wash Soap | Gold Eagle Co.
Take your vehicle’s shine to an entirely new level with 303® Car Wash. 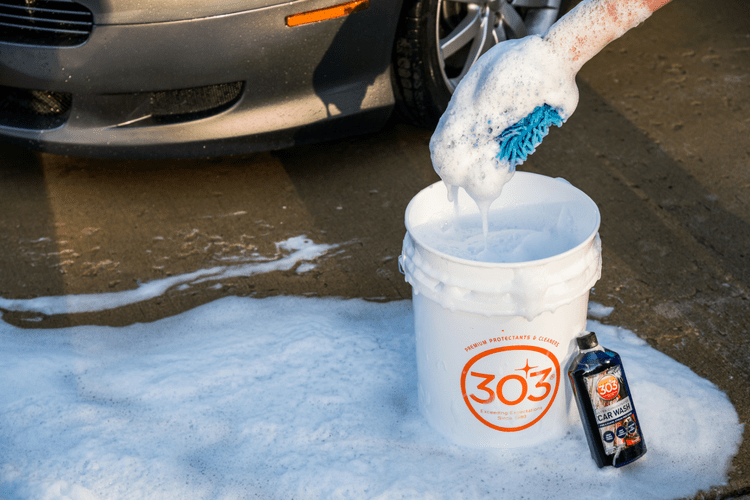 This ultra-concentrated car wash soap will provide your car with a clean, streak-free finish. Lather your baby up in never ending foam, giving you superior lubrication to make sure you don’t scratch your paint’s finish. This wash will not only leave you outside staring into that freshly washed paint, but you will get lost in the new deep gloss depth that has just been added to your ride. 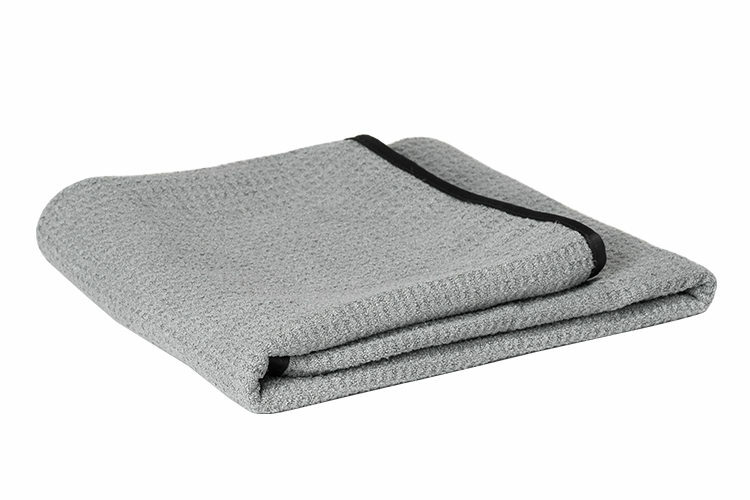 To use, make sure your vehicle is out of direct sunlight, and the surface is cool to the touch. This will ensure you do not get a streaky finish. 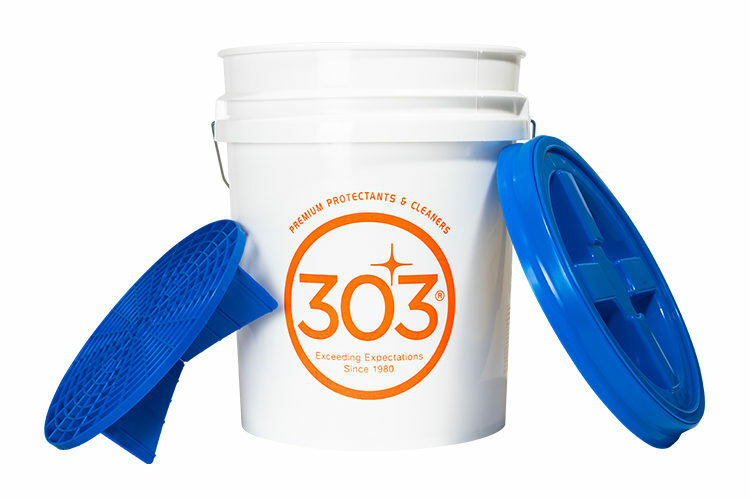 Add 1 ounce of 303® Ultra Concentrated Car wash to a 5 gallon bucket, and fill the bucket with clean water. 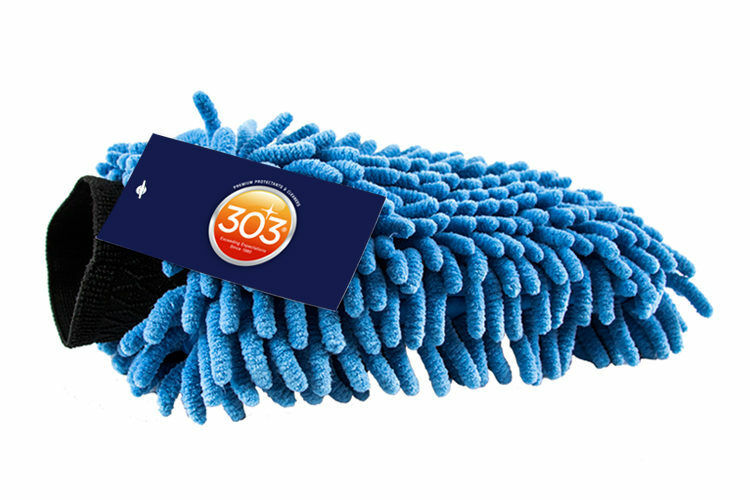 Wash vehicle with your preferred wash mitt, and then dry with a microfiber drying towel. 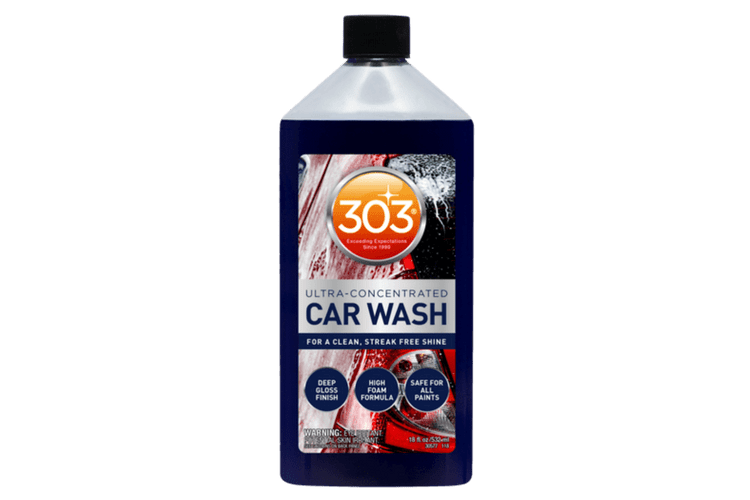 303® Ultra Concentrated Car Wash is rated 5.0 out of 5 by 8. Rated 5 out of 5 by Todd72 from Works great! I've used this to wash 2 vehicles so far and it left them both clean and shiny. Plenty of suds with using only a little of product. This wash works great! Rated 5 out of 5 by Tom57 from Works great! I've used this on both my daily drivers, and it really did an excellent job. It cut right through the film left a great shine. 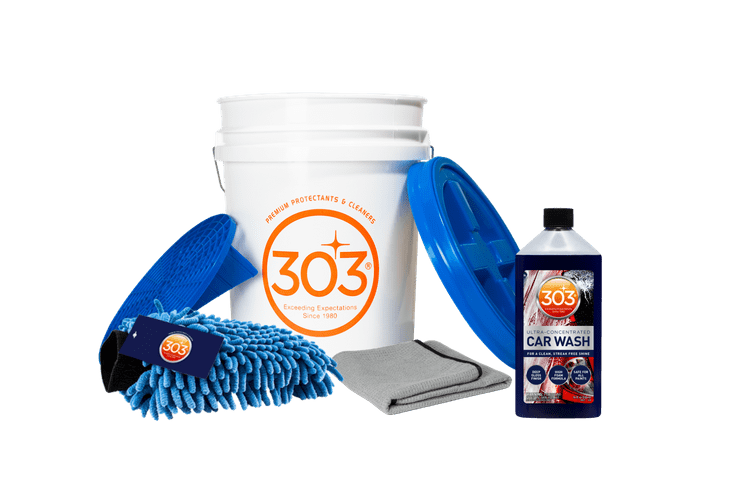 Rated 5 out of 5 by Cantdrive55 from Left car clean and spotless Good product - used it on both my 15 year old Jeep and my newer car. Both were spotless with no water spots after. Rated 5 out of 5 by roys40 from The Best Again As usual the product exceeded my expectations Every product I've tried were wonderful. Rated 5 out of 5 by Rick Mitchell from Very Good Product I used the Car Wash on my BMW and found that it was a very good product that removes road grime. I would definitely recommend this car wash. Rated 5 out of 5 by TexasChris1966 from Great product. Excellent soap and helps reduce water spots. Another fine product from a great company. Rated 5 out of 5 by Lucky from Excellent! I normally don't waste my money on car wash but 303 is worth every dime. Rated 5 out of 5 by Richm from Lots of suds Bugs came off easy.Lots of suds.Great shine when finished.